Fireworks season is just around the corner (no matter what time of year it is). 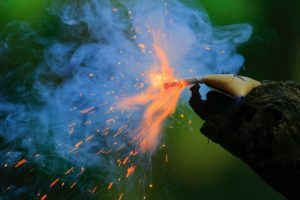 Here are some tips for lighting your fireworks without blowing yourself up or setting your self, yard, or neighbors on fire. You can Google “firework accidents” and see videos of all the things that can go wrong. Read any and all instructions. If the firework isn’t labelled or isn’t in your language, ask a person at a firework store for tips and pointers. Don’t hold onto firecrackers after you’ve lit them. You value your fingers, right? Don’t light fireworks in your hand that are meant to be on the ground, in a mortar, or in a container. This includes bottle rockets and Roman candles. Don’t set your fireworks near your ignition source. For example, don’t set a burning punk on the table holding your display. If you’re using your gas grill for ignition, don’t set the fireworks on the side. It may be convenient, but it’s a bad plan. Have a bucket of water or garden hose ready in case of accidents. 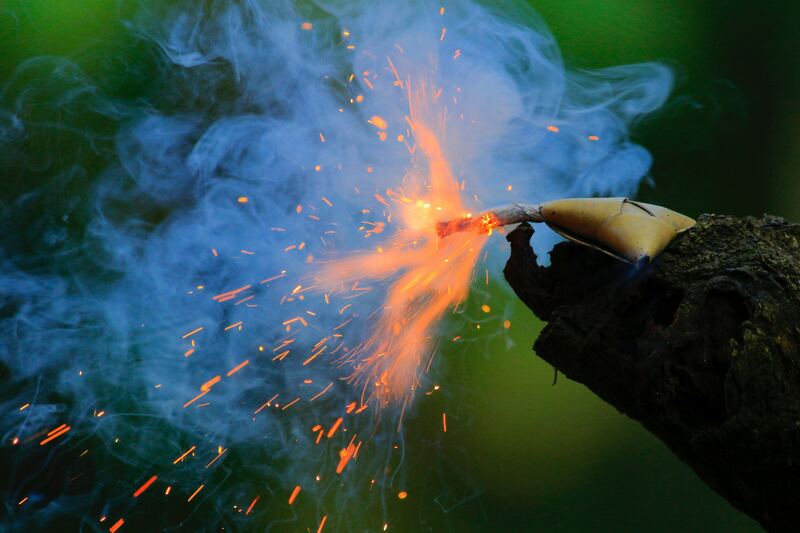 Be mindful of small, handheld fireworks, like sparklers. Do not drop them on the ground or toss them onto a table when they go out. That’s how people get burned! It’s a good idea to immediately douse them in a bucket to avoid an accidental burn or fire. Inspect the area for potentially flammable objects, like dry grass, leaves, buildings, etc. Remove debris where possible. Keep an eye out for nearby flammable material, like trees and your neighbor’s roof. Only light fireworks on a level surface. Why, you may ask? Because if the surface is tilted, the firework will shoot in a direction other than straight up. Also, it’s more likely to fall over. Make sure spectators are out of range. Be sure pets and children can’t get at your display. If you light a firework and it doesn’t go off, don’t try to relight it. View it with great suspicion and stay away until you’re absolutely certain it’s a dud. Don’t light fireworks while under the influence of alcohol. Inebriation affects judgement, usually not in a good way. Light fireworks one at a time. Wait until a firework is fully extinguished before lighting the next one. Recover fireworks after you’re done and make absolutely certain they are out before throwing them away. It is a good idea to extinguish used fireworks in water.